My middle name is Scott. It is from my mother’s side of the family. My favorite book is the one I am working on now. I have finished the Martin Bridge series, but I still visit schools to talk about him. If you are seven years old, then I am older than you. 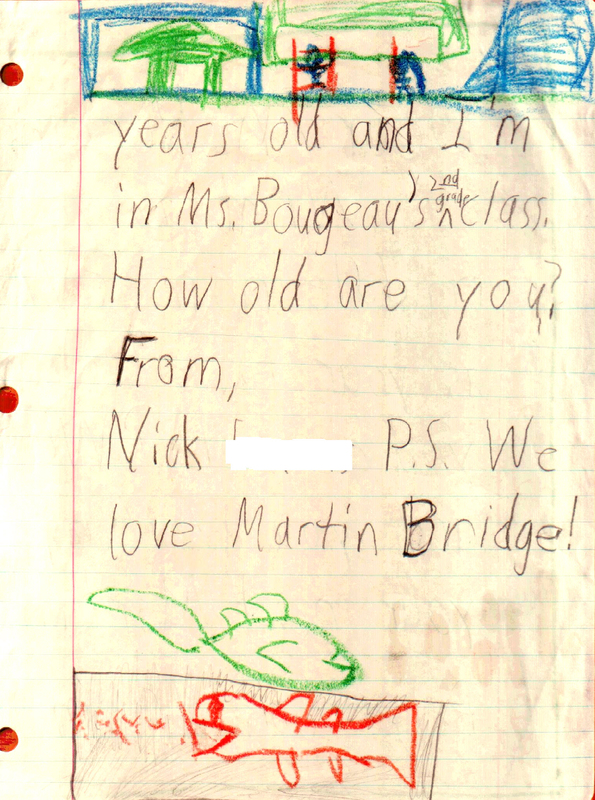 I’m very glad to hear that you love Martin Bridge. Also, I really like your fish drawings.